Like Halley’s Comet or a traffic-free day in Atlanta, some occurrences are so rare as to warrant celebration. We’ll have you know that a four-performance day in the Paste Studio most definitely qualifies, and that’s exactly what we’re serving up via Facebook Live this afternoon. 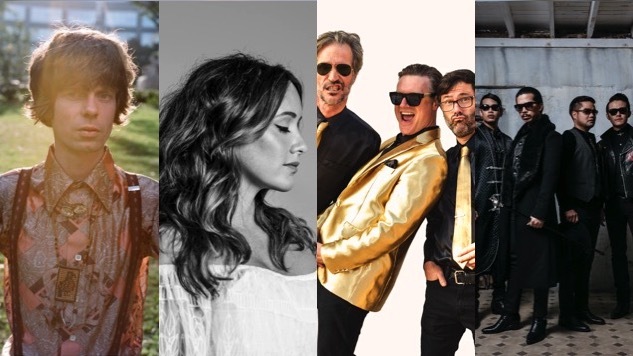 Today’s super-sized slate includes sessions from Irish folkster Fionn Regan, Americana singer-songwriter duo Rogue + Jaye, punk-rock supergroup and cover band Me First and the Gimme Gimmes, and renowned Thai rockers Slot Machine. Tune in on Paste’s Facebook page here, keep an eye on our feed here for any scheduling updates, and find video from Zach Rogue’s (of Rogue + Jaye) summer 2016 Paste Studio session below.